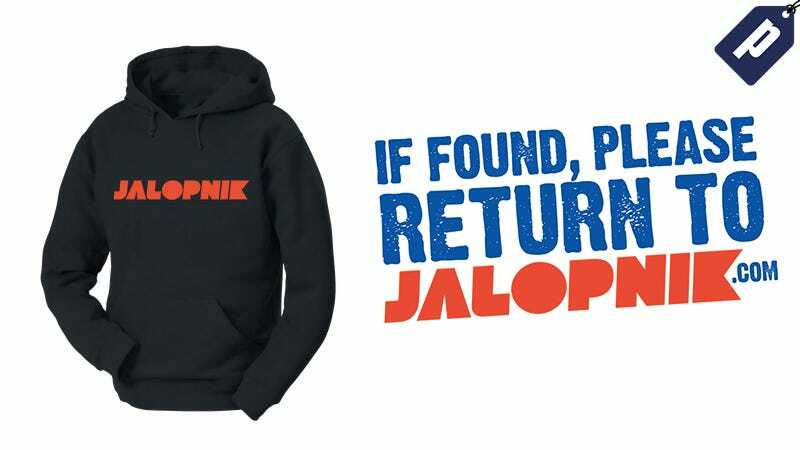 Check out the Jalopnik store and save 10% on super soft cotton/poly blend tees and light or heavyweight hoodies. Choose the standard or classic Jalopnik logo or blog-inspired art such as the “Have You Seen This Car?” tee. Save 10% on your order with promo code jalo10. In the comments tell us what you want to see. And remember, you can always find a link to the store on the footer of the Jalopnik homepage, or you can bookmark store.jalopnik.com. Save 10% with promo code jalo10. Code expires on 7.4.17 at 11:59 EST. If you have any questions about your order, or any of our products, please don’t hesitate to contact us here. We will do our best to reply within 24 - 48 hours or less. If you have any business related inquiries, proposals or partnership related ideas, contact us at store@jalopnik.com.